Birthdays are always special for everyone, but they become even more so when there’s a significant other in your life. Your girlfriend values the time and attention that you shower on her, but these actions become part of the memorable moments that strengthen your relationship. Make sure to give her the special treatment on her birthday with thoughtful acts that show you truly care. Wake her up to breakfast in bed served with some of her favorite flowers on the side. Insert a handwritten card with the sweetest message you can think of. Better yet, make it an all-out shout-out: Send a birthday message by text or SnapChat. Post it on her Facebook wall or create a card for an Instagram post. See below for inspiring messages you can personalize to show your girlfriend you really went to town planning this birthday celebration. You can thank us later. 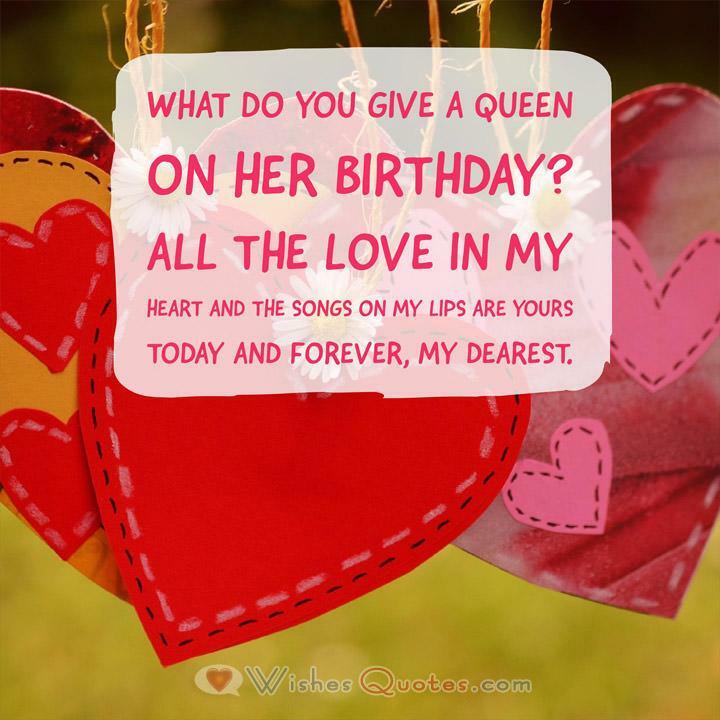 What do you give a queen on her birthday? All the love in my heart and the songs on my lips are yours today and forever, my dearest. You brought sunshine to my life. 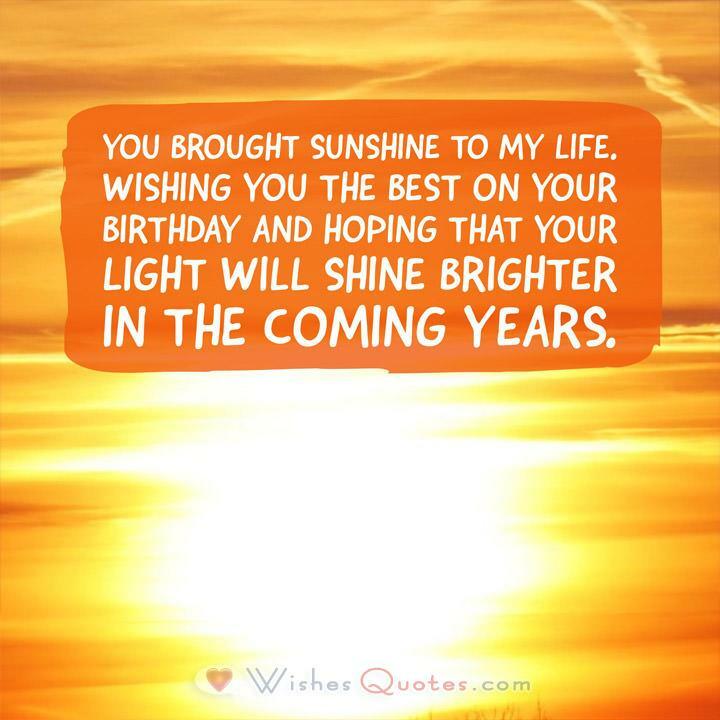 Wishing you the best on your birthday and hoping that your light will shine brighter in the coming years. Loving birthday wishes to the woman who makes me whole. Happy XXth birthday, my darling. You are every promise fulfilled and every dream come true. Happy Birthday, my love! In my sleep, I dream of you. In my waking hours, I think of you. You give me life. Happy Birthday! Every morning is bright and sunny when I’m with you. May this be an especially bright day. Happy Birthday to you, my dearest. Never a gray day when you’re around. Never a dull day when you’re by my side. I hope to spend every precious moment with you today on your birthday and every day until forever. You are a gift to me and to so many, but I don’t feel like sharing today. Let’s celebrate your big birthday together. You are the queen of kindness, compassion, and joy. Happy Birthday to the world’s best example of the modern woman. Your smile lights up my whole being. Your presence makes me feel lightheaded. I adore you. Happy Birthday to my one and only. I still don’t know what you saw in me, but I am blessed by your love and support every day. Wishing you the best on your special birthday. Cheers to a big milestone. You’ve come so far, and I am lucky to be with you for the ride. Happy Birthday, love of my life! I want this day to be special, lovely and sweet…just the way you are. Happy Birthday to my significant other. Why do I love you so? You are a goddess, a queen, a superwoman. 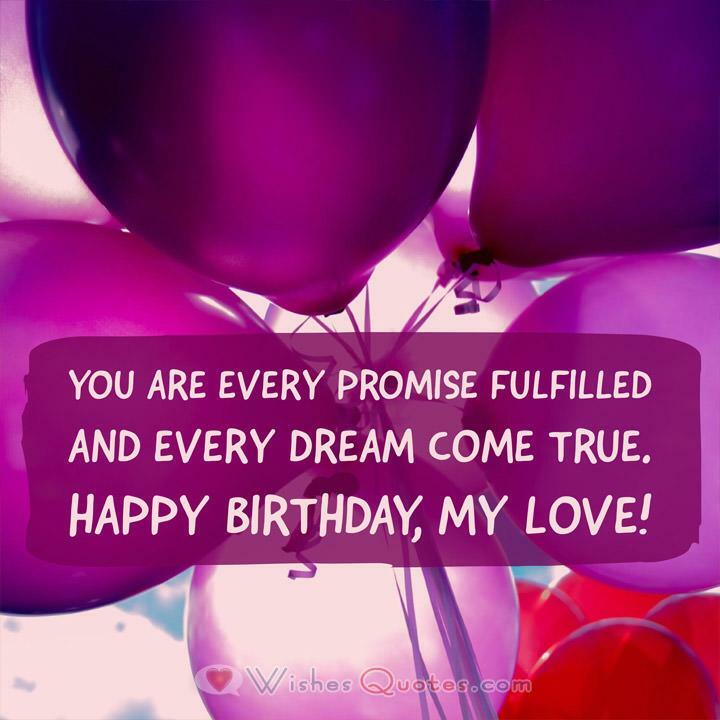 Today and always, I love you and wish you all the happiness especially on your birthday. I am nothing compared to you, but you make me feel so big and special anyway. Happiest of birthdays, my dear. Big surprise later. You deserve the world for all the wonderful things you do. Happy Birthday! If I could reach the moon, it would be yours today for your birthday. I can’t, but I wish you the best of everything for your birthday. The first time I saw your face, I knew that I would be spending your XXth birthday with you, no matter what. So here we are. Happy Birthday, my queen. I plan to spend the rest of my life planning special birthday surprises just for you. Please plan on being around forever. Happy Birthday! I’m not good at surprises especially when it’s for you. I generally get too excited and spoil the fun. Consider it a miracle that I managed to keep this secret. Happy Birthday! You are the most supportive girlfriend in the world. Happy Birthday from a very grateful boyfriend. I am in awe of your big heart, your wisdom and all your superpowers. Happy Birthday and may you have much more. I could not have been more successful without you by my side. Happy Birthday to the one I wish to share my life with. You are everything my heart desires. Please spend your birthday with me. Heart, body and soul – you own me. Happy Birthday to my owner. You deserve to have every wish fulfilled. You deserve to have every dream come true. And they will because you’re a winner. Happy Birthday! You make me a better person every day. Happy Birthday! You rule my world. Your every wish is my command. Happy Birthday to the boss of me. Smile. The world needs your light today. Happy Birthday to someone who radiates happiness every day. You are my muse. I love you and I cherish you on your birthday and every single day.